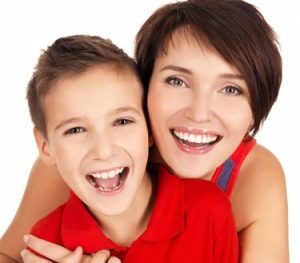 Discover the difference that straight teeth can make in your child's day-to-day routine. Dentistry for Children, P.C. is more than a trusted local children’s orthodontist. In Weymouth, MA, we offer treatments for adults, too. That’s because we believe that everyone deserves a smile they can be proud of, and we’re eager to help you or your child begin their journey to beautiful, healthier teeth. Reach out today to request more orthodontist information, or to request an appointment. Straight teeth can make a significant difference in your or your child’s quality of life. A great-looking smile doesn’t just boost confidence. It can also have a positive impact on social and professional opportunities for years down the road. Orthodontic treatment using is the original smile makeover tool, and our patients are happy to know that they’re never too old to benefit from it. However, orthodontic treatment isn't just about looks. Properly aligned teeth help you bite, chew, and even speak more efficiently. They are also easier to clean, which helps keep your mouth free of tooth decay and gum disease. 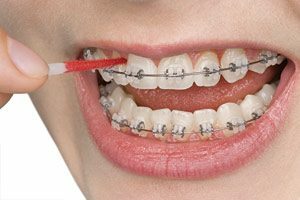 Orthodontic treatment teeth straightening with braces is amazing in that it harnesses the body's natural ability to remodel its own tissue. With the application of light, constant force, orthodontic appliances gently reshape bone and move teeth into better positions. Some examples of these appliances include traditional metal braces, clear and tooth-colored braces, and clear aligners, which are relatively new options for adults and teens. 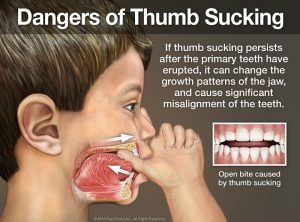 To correct bite problems, teeth need to be moved - but doing that isn't as hard as you might think. 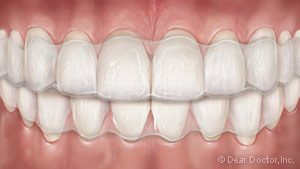 Teeth aren't fixed rigidly in their supporting bone; instead, they're held in place by a hammock-like structure called the periodontal ligament, which is very responsive to forces placed on the teeth. Orthodontic appliances move teeth by careful application of light, constant pressure. 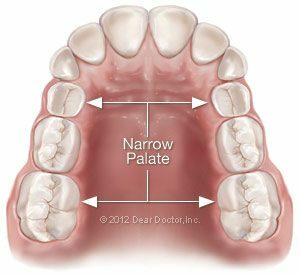 This force can be applied via metal wires that run through small brackets attached to the teeth (braces), or via the semi-rigid plastic of clear aligners. Undergoing orthodontic treatment in childhood is ideal because it enables dentists to take advantage of children’s natural growth processes, which help move the teeth into proper alignment. Like the rest of the body, the teeth and jaws change rapidly during childhood. 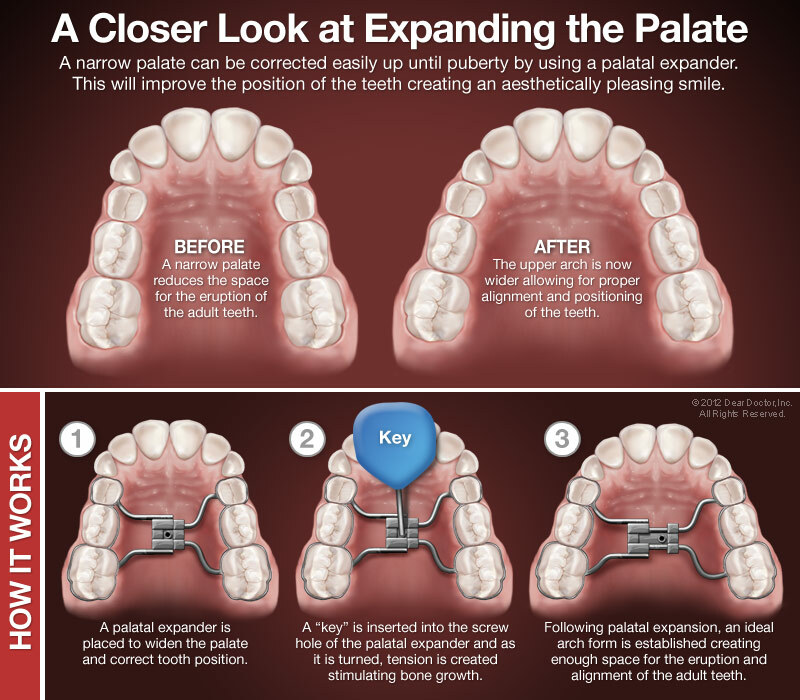 For example, during this time, it becomes possible to create more room for teeth in a crowded mouth by using a “palatal expander” to rapidly widen the upper jaw. This phase of growth modification can shorten overall treatment time and ensure better results if additional orthodontic appliances are needed. But remember, healthy teeth can be moved at any age, so you've never “missed the boat” for orthodontic treatment. In fact, about 1 in 5 orthodontic patients today are adults. Several new technological developments - including tooth-colored ceramic braces, clear aligners, and invisible lingual braces - have made orthodontic appliances less evident, as well as enhanced the treatment experience for adults. Before treatment, adults are carefully examined for signs of periodontal (gum) disease, which will be brought under control before treatment begins. 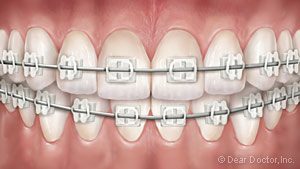 When you imagine someone wearing braces, you probably picture small metal brackets bonded to the front of the teeth, with a thin wire running through them. This time-tested style remains very popular, but it's no longer the only option available. 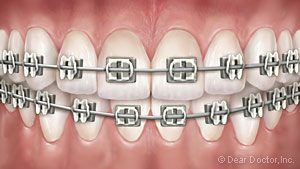 Clear braces use brackets made of ceramic or plastic which, except for the slim archwire, are barely visible. Removable clear aligners are alternatives to fixed orthodontic appliances. 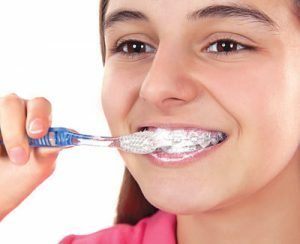 They consist of a series of clear plastic trays that fit over your teeth exactly; each one moves your teeth a little bit until they are in the desired position. Whether fixed or removable, each type of appliance may have advantages or disadvantages in particular situations. After a complete examination, we will discuss which treatment options are best for you. Once your orthodontic treatment is completed, it's extremely important to wear a retainer as directed. That's because teeth naturally tend to drift back to their original locations - which is the last thing you want after you've gone to the trouble of straightening them. Wearing a retainer holds your teeth in their new position long enough for new bone and ligament to re-form around them, and helps keep your gorgeous new smile looking good for a lifetime. There are several ways that kids can benefit from early orthodontic evaluation. 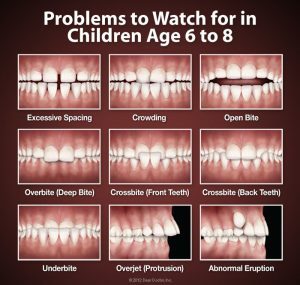 But it’s important to recognize that early evaluation isn’t necessarily followed by early treatment; in many cases, if orthodontic work is needed, we simply monitor your child’s growth patterns until we see that it’s time for treatment to begin. This gives us an opportunity to get the best results in the most efficient way, and to help prevent future problems. 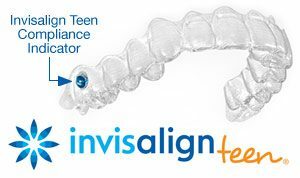 Invisalign is a series of removable, clear plastic trays that gradually straighten teeth as they’re worn (for 22 hours per day). Formerly recommended only for adult patients, they now come with special features — like compliance indicators to tell how often you’ve been wearing them — that make them appropriate for teens in some situations. They’re practically invisible but more costly. 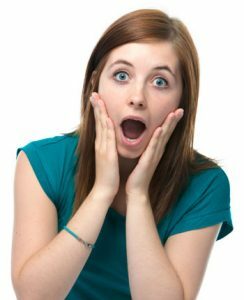 When you hear the word “orthodontics,” what comes to mind? Probably a young teenager whose teeth are covered by a latticework of metal. There are indeed many orthodontic patients who fit that description. 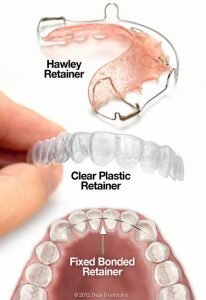 However, there now exists an increasingly popular alternative to traditional metal braces: Invisalign® clear aligners. Dr. Woland is pleased to offer Invisalign for patients who are interested in ‘invisible braces’.